A Doncaster dad who had to learn to walk and talk again after being punched in the head has set himself a fundraising mission. 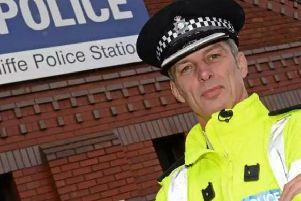 Alistair Proctor was put into an induced coma after he was left lying in a pool of blood in an unprovoked attack in Doncaster town centre. He had surgery to release the pressure on his brain following the vicious attack in 2010, just two months after the birth of his son, Theo, now four. Alistair, aged 32, of Town Moor in Doncaster, said: “I can’t remember much about it but I have been told about it since. “I was out with some friends in Doncaster having a few drinks. I was walking along Silver Street and someone approached me asking for a cigarette. “I don’t smoke so I didn’t have any and he was being a bit aggressive about it, as if he was looking for trouble. “He stood in my way and was getting more mouthy and then his friend came and punched me. Alistair, an accountant, was lying on the ground with blood oozing from his head as his friends phoned for an ambulance. The next thing Alistair can remember is waking up some five days later in intensive care in Sheffield. “When I woke up, I couldn’t walk or talk,” he said. Alistair spent a further two weeks in hospital in Sheffield before he was transferred to St Catherine’s Hospital in Doncaster, where he continued his recovery as both an inpatient and outpatient. After 18 months, Alistair had more or less fully recovered although the scar on his head remains and his reactions are slower than they used to be. Now he is planning to tackle the three-day Monte Carlo or Bust rally in a £250 car to raise funds for Neurocare. The money raised by Alistair and his team of 12 friends will be spent on life-saving equipment for use in the neuro wards in Sheffield hospitals.